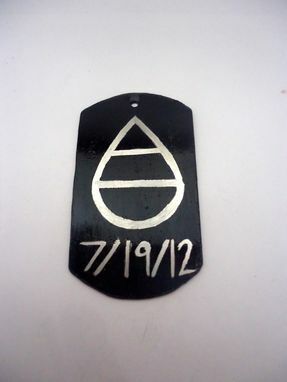 Military dog tag style pendants for any occasion! This dog tag is made from stainless steel. I used a black patina to create the black color and engraved in the symbol and date.